It's Saturday, so you know what that means? Time to bring you another interview with a brilliant British blogger. Today it is the lovely Cicely from Cicely Loves Books! I do adore the reviews that Cicely writes. She has a way of writing her blog that really draws me in and I love that about her blog! Follow Cicely at Cicely Loves Books and also on Twitter! 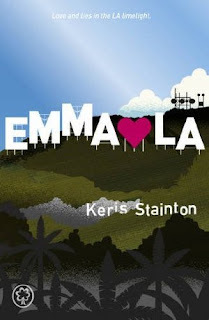 Hello, I'm Cicely from Cicely Loves Books, where I, well, review books (it's all in the name). I started being a book blogger over two years ago now (crazy stuff) when I started reading other people's book blogs. I'd read their reviews and think, well I could do this! So I did. It's not really a great story, but whatever. I should probably think of something more elaborate to tell people. Well, I just started my first year in 6th form, so I'm spending a lot of time getting used to that and doing homework *groans*. Um, I also watch a lot of TV shows and films obsessively, so if your not seeing a lot of me, I'm, I'm probably just having a Doctor Who marathon while writing History essays. Yup, I know. Exciting times! The first book I ever reviewed on my blog was Clockwork Angel by Cassandra Clare, and it was pretty dire. The review, that is. Not the book. 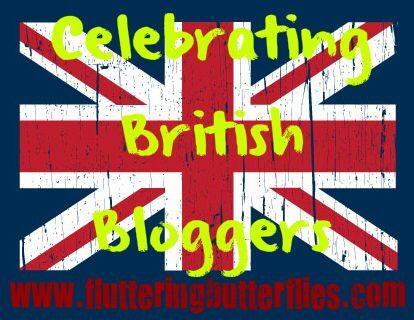 This is going to sound so cheesy, but just getting to be a part of the wonderful UK book blogger community, and to get to meet people who are like me. It's just awesome, and I hope I'll get to be a part of it for a long time yet. Gah, what evil question is this?! I can't pick a favourite! It's basically impossible! Out of the books I've read in the past couple of weeks, probably Maggot Moon by Sally Gardner, but I really can't choose. Honorary mention: Everyone. I hate picking favourites! Um, probably John Green. I know that I should probably pick a UK author, considering the theme, but luckily I've already met a lot of them, and I have a lot more chance to meet them than I do American authors. So yeah, John Green. Or maybe Neil Gaiman. Though I've no idea what I'd say to either. More horror and UK contemp, and less dystopia. I've never really been a huge fan of it, and none of those that I've seen really look that different from others that I've heard of, so something new please! Then again, I don't really know what's trending at the minute. I've not really been keeping up with the US releases lately! Oh, and more mystery! Like, proper whoddunit types. I would LOVE that. You ask some very, very tricky questions. I'm going to go with either Cricket from Lola and the Boy Next Door, or Oscar from Emma Hearts LA, because I love nerdy boys infinitely more than broody boys. But to each their own! Ooh, Cicely, you get a high five for nerdy boys! I'm with you there! Thank you so much for taking part in this with me, it's been fun! I could definitely see the cool factor in hanging out with Evie/Willow/Buffy! And I'd fangirl over Neil Gaiman anyday! Everyone, don't forget to visit Cicely Loves Books! But for now, what do you think of Cicely's answers? Do you prefer nerdy boys or broody boys? 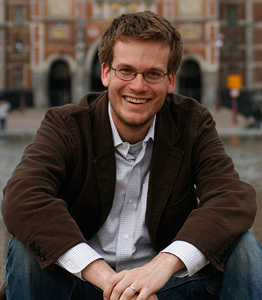 Would you like to meet John Green? 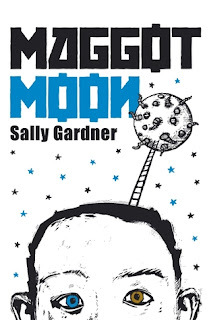 Have you and LOVED Maggot Moon? Let us both know in comments! Thanks for the mention Cicely :D Ooo Maggot Moon is one I'll be reading soon. I hope I love it just as much! I never thought I'd say it but I feel a need for less dystopia too. It's getting hard to find the REALLY good ones now. I'd personally LOVE more mystery. Great interview! I agree that I would love more UK contemp. new follower as lucyatmax/no pic...enjoyed the interview with Cicely! But loved the name of your blog and had to check it out! I can be found and followed at bethartfromtheheart.blogspot.com . I would definitely like to see more mystery in YA books, the ones I have read have been fab. 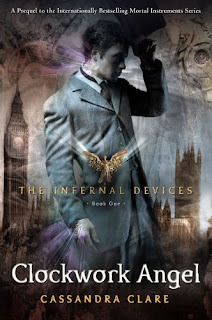 Clockwork Angel...I still haven't read that, LOL.